Smart Cycling and LCI Seminar now open! 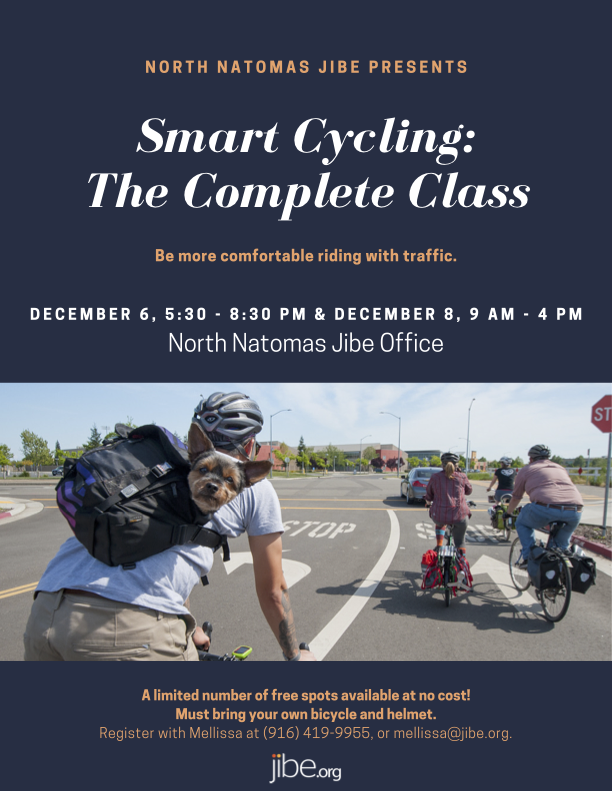 Jibe (formerly North Natomas TMA) is hosting two Smart Cycling (Traffic Skills 101) courses, in December and January, and a League Cycling Instructor (LCI) Seminar in February. If you are interested in working with youth for Jibe and other regional programs, or being a bicycling instructor, check the flier and position announcement, and sign up now! Yours truly is a LCI who leads the bicyclist education program in San Juan Unified School District, and cannot speak more highly of this opportunity. Go for it!